Ideastream is a public media organization that applies the power of media to education, culture, and citizenship through the production and distribution of a range of programs, services, and community engagement. Since 2001, ideastream has utilized a website that provides the community on-demand access to its locally-produced public media news and content, as well as additional public media news and content. Although the website had undergone various cosmetic changes and overhauls to it’s backend content management system over the years, ideastream approached Level Seven to redesign the entirety of the ideastream website in 2016. The project began with a design phase, where we outlined a website that enabled ideastream to bring the highest quality content from the region, nation, and world to the Cleveland community. The new design created a refreshed, modern look that improved the overall user experience. With the new design, users are able to see the top news on the homepage, or can easily view news related to specific topics, thus giving users quick access to the news they want to read. Once the designs were set, we began developing the new site in the Drupal platform, an open-source content management platform written in PHP. We utilized various content types and algorithms in order to display content specific to certain choice fields or tags, providing the user the ability to quickly click through various types of content. We also created several connections between NPR, PBS and other public media organizations to ideastream.org to give ideastream admins the ability to easily pull in needed content specific to those platforms. Our team created additional functionality for the site, such as video streaming, ad unit displays, and feature pop-ups, as well. Our team also created functionality for the site, such as video streaming, ad unit displays, and feature pop-ups. 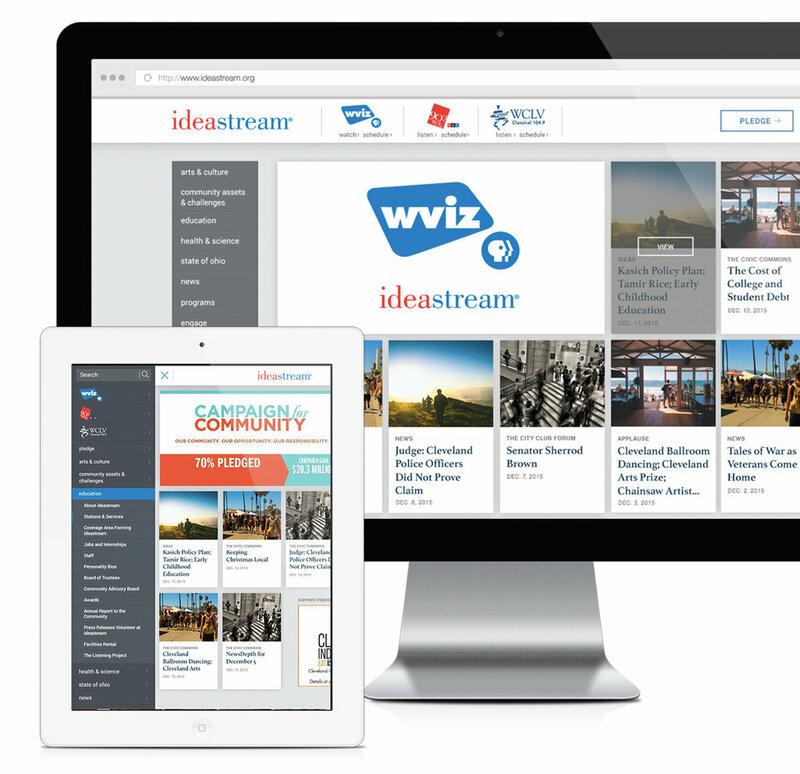 Overall, the website redesign was a success in allowing ideastream to better serve the greater Cleveland community by giving users access to recent news, programs, services and, community engagements.